Grobetrotting With Jeff: Jeopardy answer: "Things that almost float." what is the question? My dive partner, Bruce, left at 4:30am to take a banca (think “canoe” with a couple of sticks for outriggers and a lawn mower motor) across to Cebu to catch a morning flight to Manila. 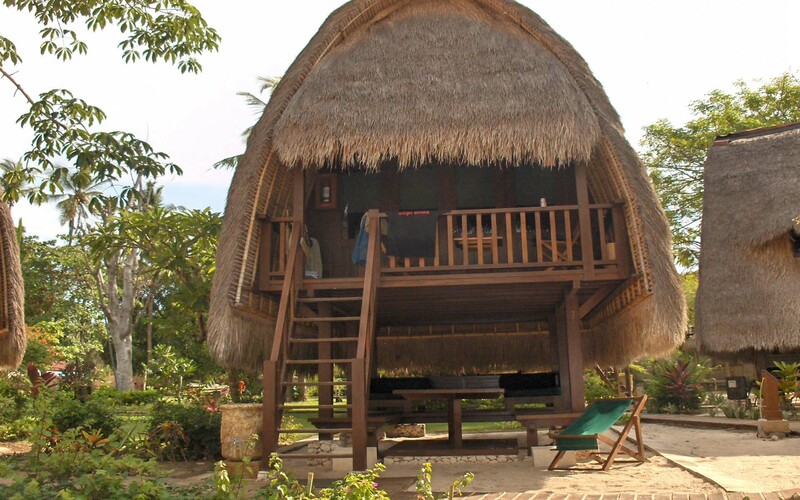 I, on the other hand, could luxuriate in bed to 8:00am when I would be taking the same banca across to Cebu, and then drive the length of the island and take another banca on to Siguijor - another little island off the opposite end of Cebu. The banca crew shows up at my door right at the crack of 7:30 am - a half hour early - anxious to get going. I hurriedly throw my stuff into my duffle and suitcase, and head down to the beach to the waiting banca. 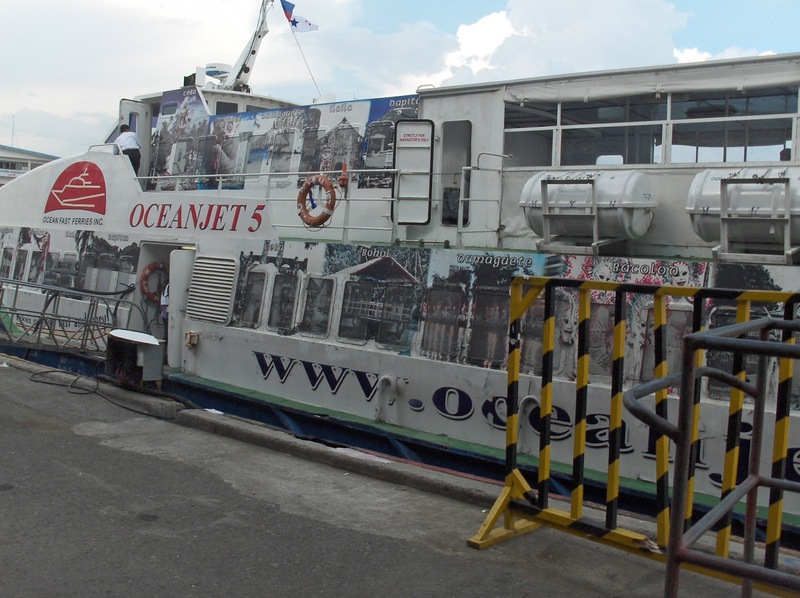 Several pulls of the engine cord and we we’re off at a stately 5 miles an hour heading for Cebu. When we are about half way across I notice smoke billowing out of the engine compartment. The smoke is greeted with a lot of shouting and the engine is turned off. We proceed to drift while the crew decides what to do. They open the hatch and more smoke billows out. I peer into the open hatch and notice several open paint cans along with an open can of caulking tar - but no fire extinguisher – also I notice a distinct lack of life jackets! After the smoke clears it appears the problem is mainly a cooling issue and one of the crew put on a diving mask and jumps into the water to see if the intake is plugged. Another attempt to start the engine results in even more smoke. After a few minutes a large rust wrench is found among the open paint buckets and they begin disassembling the engine as we drift further out to sea. Two more attempts and still nothing but smoke. Finally they resort to using the wrench as a hammer to punish various parts of the engine for their recalcitrance – and viola we were underway again. Around 9:00pm I finally arrive at the Coco Grove resort, a beautiful resort complete with two swimming pools and a beautiful beach. I decide to spend the next day by the pool. Unfortunately for me we’re having a bout of Vancouver weather. It’s raining (the first rain I've seen over two weeks), so I decide to pay a visit to the dive shop. After a one hour “briefing” I finally escape back to the pool - only to have the clouds open up again! Things went swimmingly well for me here on Siguijor until my last dive. I was cruising along enjoying the coloured lumps of rock (also known as "coral "- but to my unappreciative eye they look like someone had too much all dressed pizza and a gallon of cheap red wine and threw up on the rocks). But I digress - Anyway I was happily swimming along when I felt something very large and slimy loom up from underneath me. Out of instinct I hit it hard with my fist then, as it pulled away from me, kicked it viciously with my fins. Only after my defensive moves did I look down to see what beast had attacked me. It was the bald head of a rather large German man (no relation to Otto) who had come up underneath me and poked me in my stomach with his big bald head! He kept his distance from me for the rest of the dive. I suppose he was thanking his lucky stars that I didn’t’ have a spear gun. Yesterday it was time to leave Siguijor and head for Dumageti on Negros Island. It was yet another wonderful ferry ride. This one was a completely different ferry from the previous two ferries I had taken: I nicknamed it the Barf Bus. The ferry was the size (and shape) of a city bus and seated about 105 people. It had about 1100 people onboard. I know this to be true because a Filipino Coast Guard Official with a very large gun came on board and counted the load. Satisfied with it being exactly 105 people he instructed the crew to let on another 1500 or so of his close friends. I ended with my duffel bag, suitcase, backpack and three Filipinos on my lap for the one hour trip. The crossing wasn't pleasant; it would be like crossing Howe Sound (in Vancouver) during a November gale. As the ferry was box shaped and we were heading perpendicular to the waves, the ferry tended to roll a lot with waves breaking over the sides. Needless to say all those people packed together like sardines; in the heat and humidity.... well you can guess what happened next. I think I'm definitely going to definitely need a new pair of sandals. I'm at a brand new resort named Atmosphere. It is the most luxurious I've stayed in so far complete with Wi-Fi throughout the whole resort. A few more days here and then then it's back to Manila and home on Friday.